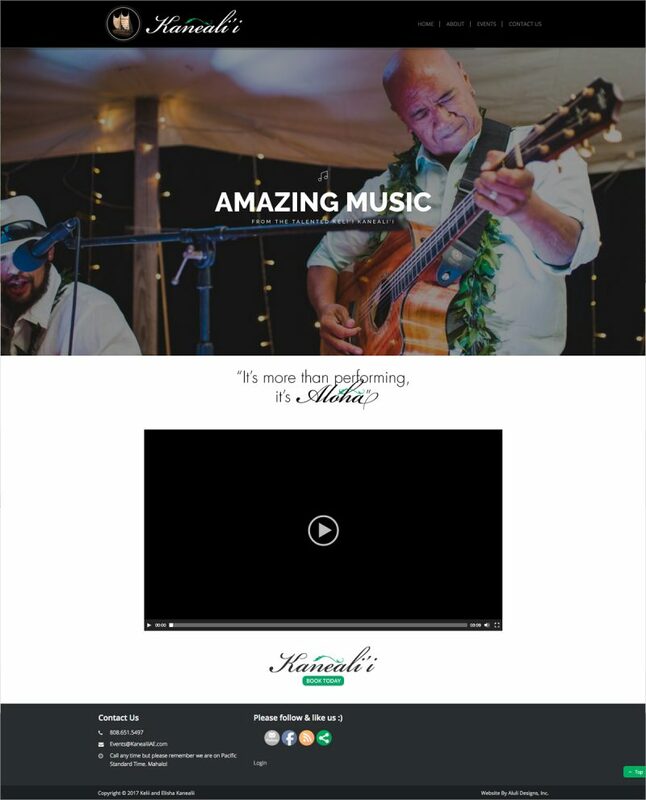 Kelii Kanealii has been an Hawaiian entertainer for most of his life. 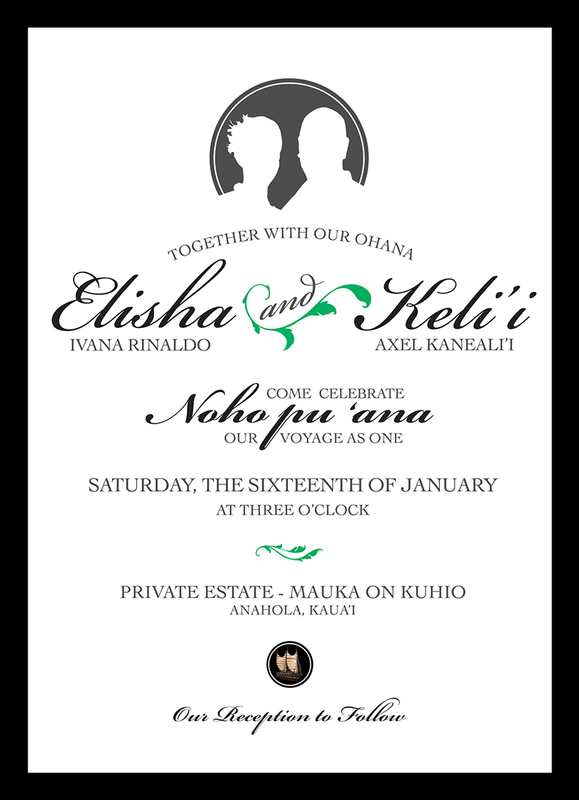 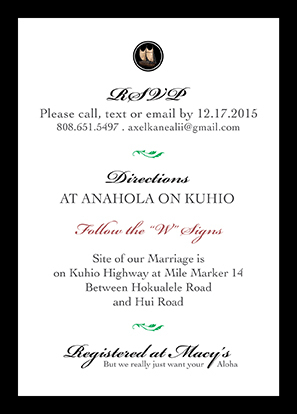 These custom invites were created to show the joining of two beautiful people in love, Kelii and his bride Elisha.  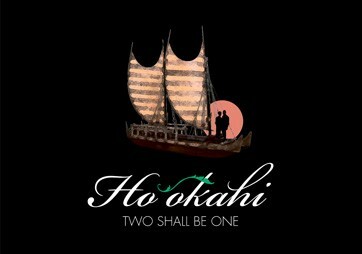 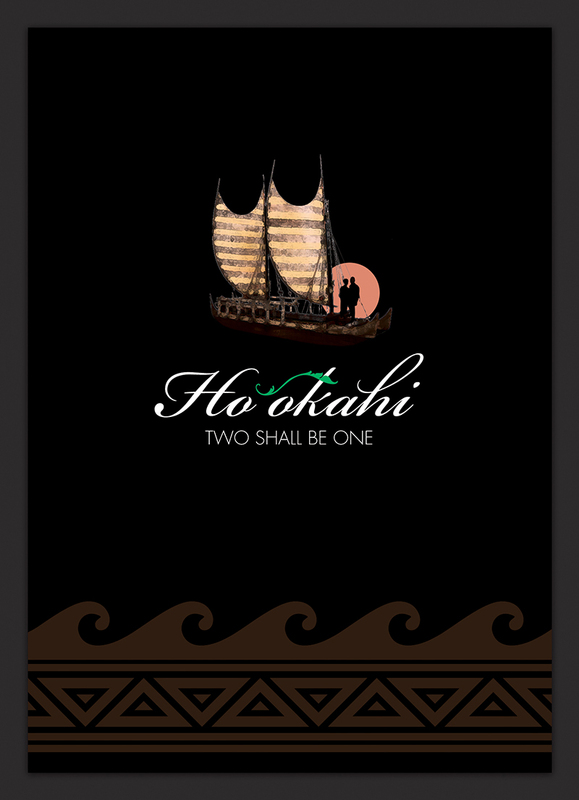 Ho’okahi in Hawaiian means two become one and was used as a symbol of the union.